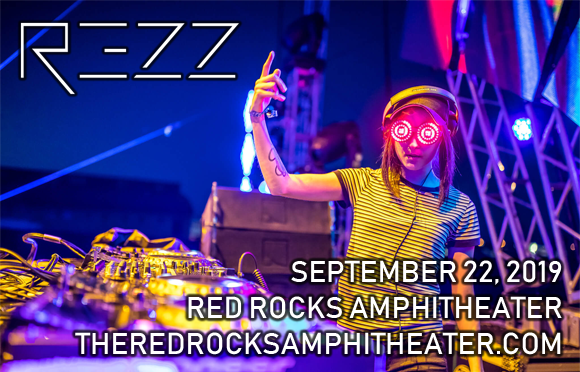 Canada's hottest EDM export, Rezz, comes to Red Rocks Amphitheater on Sunday 22nd September 2019 for Rezz Rocks 2!!! Having unleashed an epic show at Red Rocks last year, the DJ and producer is back for more, delivering bangers from her recent album, Certain Kind of Magic, as well as a whole host of jaw-dropping tunes to get the dance floor stomping all night long! Prepare to be blown away by heavy bass and serious skills! Canadian DJ and record producer Rezz first made waves in the EDM scene in 2015 with the release of her debut EP, Insurrection, which she released through OWSLA's sub-label Nest HQ. The following year, she released The Silence is Deafening, her second EP, on Deadmau5's record label, Mau5trap. Her third EP, Something Wrong Here, was also released with Mau5trap later that year and peaked at number 19 on the Billboard Dance Charts. Rezz's debut full length studio album, Mass Manipulation, came in 2017 and peaked at number 16 on the US Billboard Dance/Electronic Albums chart. The album won Electronic Album of the Year at the 2018 Juno Awards. Her second, and most recent, studio album Certain Kind of Magic was released in 2018 and launched the singles "Witching Hour" and "Hex".